Amsterdam, 30 April 2018. Fastned, which is building a European network of fast charging stations where all electric cars can charge, has continued its rapid growth over 2017. Revenues increased 133% to EUR 530,667. During 2017 a total of 6,279 unique customers charged more than 1 million kWh at the Fastned network. In 2017 the number of fully electric cars in the Netherlands increased from 13,105 to 21,115, an increase of 61%. The share of fully electric cars in the Dutch vehicle fleet increased from less than 0.2% to almost 0.3%. 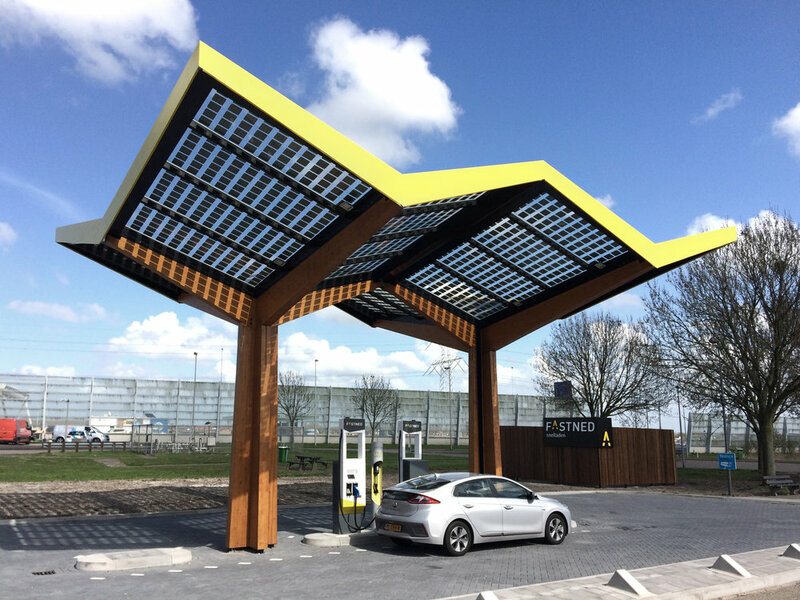 Anticipating on the exponential growth of the number of electric cars, during 2017 Fastned continued investing in the development of new locations for fast charging stations. Partly as a result of this, the net result amounted to EUR 5 million negative, of which more than EUR 1.5 million was 'non-cash' (depreciation and converted interest). The loss was slightly lower than in 2016 due to strong revenue growth, and in spite of increasing operational costs due to the establishment of offices and teams in Cologne and London. As a result of the conversion of 10 million euros of debt to depositary receipts by investment company Breesaap, the balance sheet of Fastned improved considerably during 2017. At the end of the year Fastned had a positive equity of 3.1 million euros. In addition, Fastned had 16.3 million euro of liquid assets on the balance sheet at the end of the year. This large cash position was a direct result of the successful issuance of bonds in December and is currently being used for the construction of more than 30 new charging stations in the Netherlands and Germany.